Architects are notoriously stubborn. But so are those who can afford to build a custom-designed house in the Polish countryside, it appears. 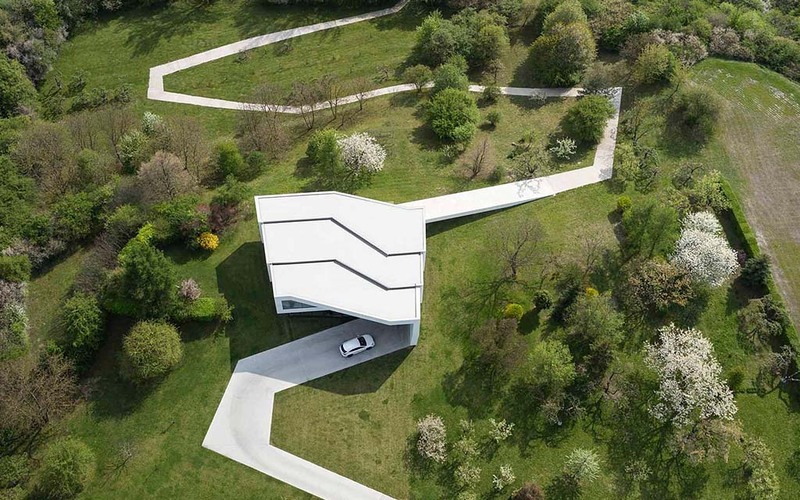 When a client of Polish architect Robert Konieczny asked for an “ugly house” (Konieczny’s words), the architect compromised by building the minimalist interior the client wanted, then wrapping the entire build in its own winding, endless driveway. From a bird’s-eye view, all that can be seen of the design is a long ribbon snaking and looping through the countryside before winding down towards the river out back. A pristine white concrete driveway curves through an orchard on the property before looping three times around the two-story abode. The lightweight concrete forms everything around the house except for the roof, which uses a lighter membrane material. The concrete then unwraps from the house to form a winding ramp down to the nearby riverfront. The modernist structure stands out in the otherwise verdant countryside, looking as if someone lazily unspooled a giant ribbon down a hill. 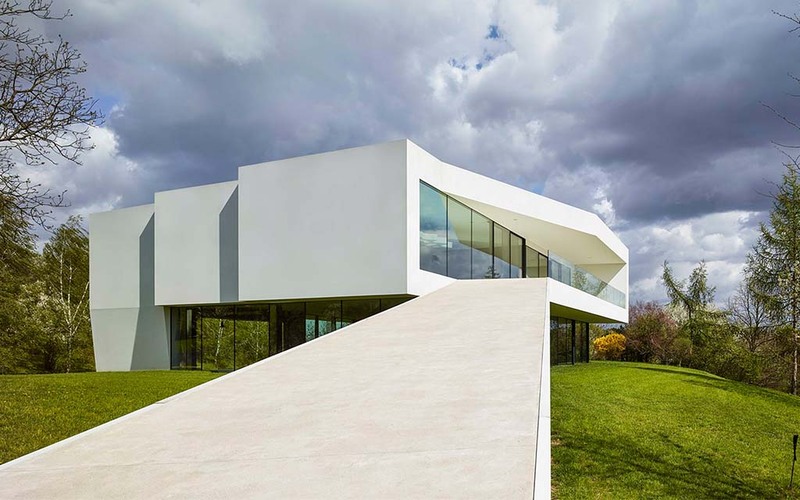 And yet, in its simplicity, the stark white home actually manages to fit in with the tranquility of the surrounding landscape. Find out more about the project in Konieczny’s own words here.